Scholarship funding is available to assist parents with camper fees. All scholarship money is donated from the community and therefore scholarships are not always available for every camper to be supported every week. We will award the first round of scholarships in mid April and will continue awarding scholarships throughout the summer until all scholarships have been awarded. The primary way we will award the scholarships will be based on inclusion in USD253 free and reduced lunch program. However, if your child is not part of this program, please provide a letter and documentation to explain your child’s need for the scholarship. Open document and SAVE to YOUR computer FIRST. Then complete the saved copy on your computer. Either print and mail application to Camp Alexander, c/o Camp Registrations, 1783 Road P5, Emporia, KS 66801, or email an electronic copy to: [email protected]. 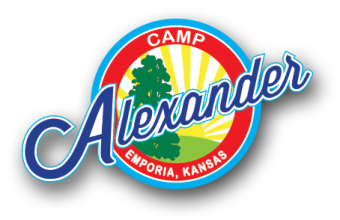 Open the application, print it off, and mail to Camp Alexander, c/o Camp Registrations, 1783 Road P5, Emporia, KS 66801. Be sure to include your camp registration form, medical form and waivers with your scholarship application!